Picking a surgeon is something that should not be rushed. You’re entrusting them with a lot of responsibility and may be spending a small fortune on their services. Like any large purchase, take the time to do a little bit of homework and research on your surgeon. This is probably the best place to start. Ask your primary care physician or general practitioner for a list of surgeons they recommend for your specific surgery. Two or three names is a good way to start that list. Remember, you don’t have to pick any of your doctor’s recommendations but it is a good starting point. It’s okay to ask around for recommendations about good surgeons. Getting firsthand accounts is a great way to know about a surgeon’s experience. Additionally, if you have any friends that work in the healthcare field, see if they can find out more information about your surgeon. The world of healthcare is actually quite small when it comes to top surgeons (within a given area). It may not be that difficult to find out about the reputation of a surgeon. People that have a bad experience with something are 2-3x more likely to write about it than those that have a positive experience. Think about Tripadvisor™ reviews -people are much more likely to take time out their schedule to share a bad experience than they are a positive one. So with that said, any bad reviews should always be weighed against the good ones that may not be there. Of course, if someone has singularly bad reviews across the board, then this is a big warning sign! Secondly, try to get opinions from multiple sites if possible as opposed to just one website. You may not always be able to do this but the more sources you’re able to get a perspective from, the better. This is a very simple step. Maybe unnecessary for most patients, but it never hurts at the very least to confirm that your surgeon is board certified or board eligible in his or her specialty. You can do this by visiting the American Board of Medical Specialties (http://www.abms.org/). You can also check state Medical Boards to make sure he or she is licensed in the state. Ask about the necessity of the surgery, its effectiveness, its safety, and what your alternatives are. The importance of this question is that studies show that surgeons who perform more operations tend to have better outcomes1. Simply, they have a much broader base of knowledge and when it comes to surgery, experience counts. Additionally, seeing how their answers stack up against the other surgeons on your list is valuable. When you first start your search for a surgeon, you may have a list of 5 or 6 names. You don’t need to make an appointment with all of them. After using the above tips to whittle your list down to 2 or 3 people, consider having a brief consultation with each one. For reasons of time and money, this may not always be possible. If you have the opportunity to have a brief 30-minute chat with your potential surgeons, take it. Some surgeons offer a free consultation to prospective clients. This is especially true if they know that you are considering them for an important operation. Remember, surgery of any type is a big investment and you want to get it right the first time. 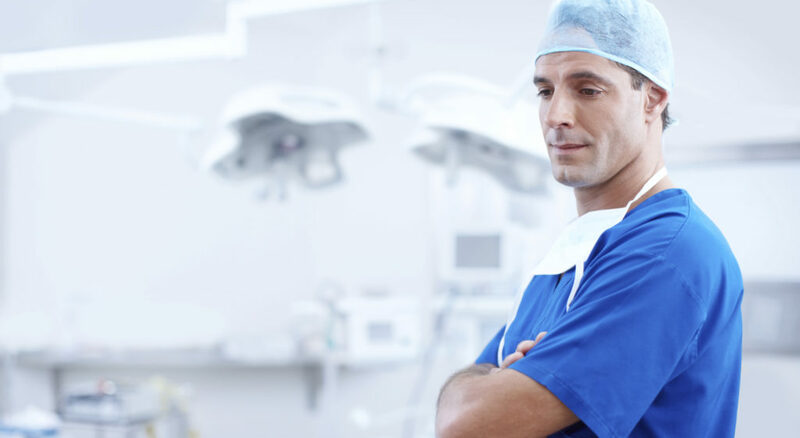 By speaking to a few different surgeons, you’ll get an excellent idea of how comfortable you are with each one. It also makes it easier for you to directly compare your feelings about each surgeon against each other. Overall, it’s critical that you feel comfortable with your surgeon. You should feel like you can discuss your concerns and questions openly with them. Take the time to do your homework and research to make sure you’re happy with your final choice. What are the main problem areas for joint pain?